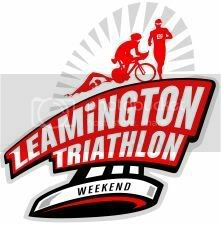 The Leamington Spring Triathlon is tomorrow and there's no two ways around it; there is a good chance I may die tomorrow during the swim portion of the triathlon. I feel remarkably unprepared for swimming 750m and have been caught off guard by this, considering the generally good shape I am in and the training I have been doing. I did not consider the time scale since the Bike Trek, thinking a month would be enough time to train, or the necessary inclusion of a swim coach. Lessons learned for next time! The good thing is that I have whet my appetite for swimming, a sport that I will undoubtedly be pursuing in my attempt to lead a fit lifestyle. I am still looking forward greatly to tomorrows event and will do my best. Finishing somewhere in the middle of the pack is the goal at this point, winning is not.